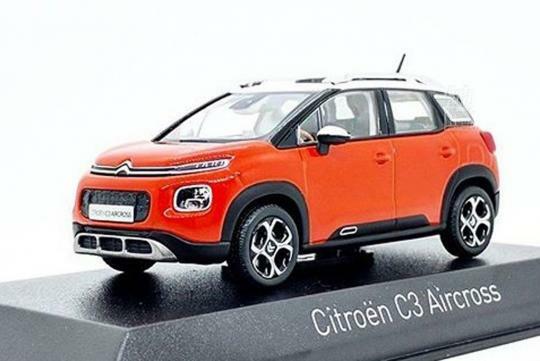 Could this be Citroen's all new C3 Aircross? Thanks to Autoweek.nl, the exterior design of the car has been leaked via a scale model. Set to take over the old C3 Picasso, the new model looks more like a crossover than a MPV and is likely to based on the same platform as the recently launched Opel Crossland X and Peugeot's upcoming 2008. Looking very similar to the latest C3 supermini, the new Aircross is expected to feature similar three- and four-cylinder engines and drivetrains as the ones in the C3. An all wheel drive option is unlikely to appear in the car. It is said that Citroen plans to launch the new C3 Aircross at end of the year.